Batik is a wax resist process. Wherever the hot wax is placed, paint cannot enter the Ginwashi rice paper. The waxing process is wax, paint watercolor, dry; wax, paint water, dry while using different sheets of the same pattern for wax and color placement. Plan on taking a one-hour lunch break. There are several good restaurants close by or feel free to bring your lunch. 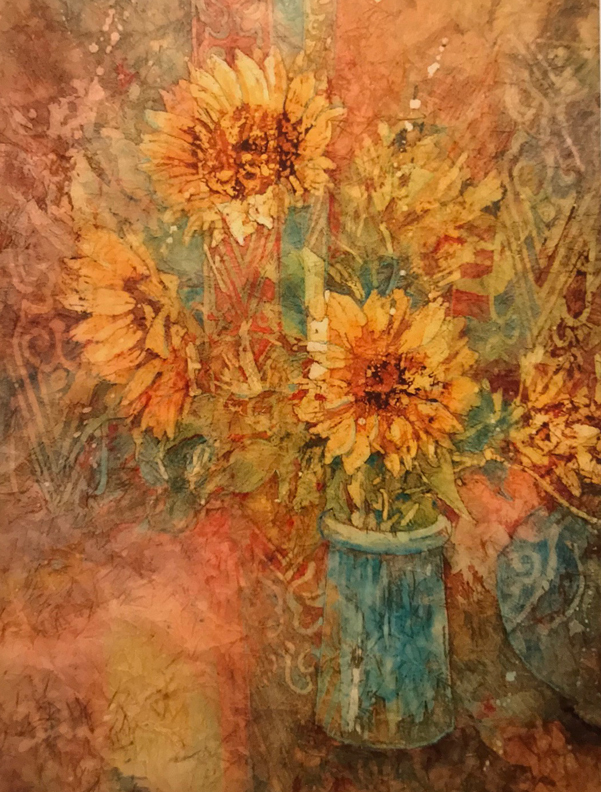 At the end of the day, students will finish and take home this popular Sunflowers II batik. Discount framing coupons will be available to workshop students to frame the completed batik paintings.